Proudly presented by: - Cairns CC with generous support from LDI Constructions as major sponsor. Online registration closes 5PM on Saturday before race day. Entrants can withdraw with a self-serve, automated refund within EntryBoss. Scratching closes at the same time as entries. Use the SCRATCH button on the race entry page to scratch. New to racing? Curious as to what it is all about? We really encourage you to join us for this event. You'll be entered in D Grade and be looked after by a club member. Please enter as a "NOVICE" when entering and make sure you have a license (see the information below on how to get a license). Parking - it is important that you park off the race circuit. Best location is on Ruth St leading off Ray Jones Drive. Warming up - riders are requested to warm-up prior to the race program commencing or off the race circuit. Course Closure (traffic management) - the course is not closed to traffic and riders must follow road rules and the directions of marshalls. Races cannot proceed without corner marshals and help with setting up and packing down. Please let us know if you can help out by filling in your availability & preference details when entering. Licence or email receipt to be presented at registration desk. 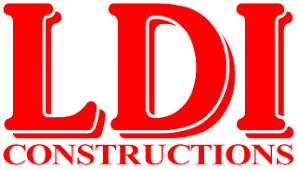 Again, massive thanks to LDI as major sponsor.